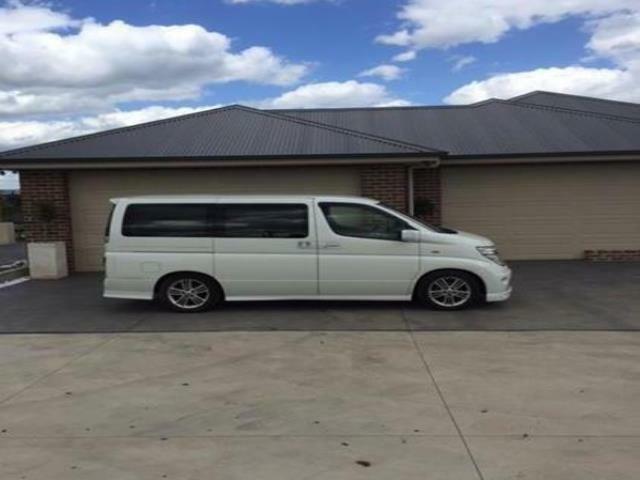 Late 2003 Nissan Elgrand e51 series 2 edition Luxury people mover with genuine 85, 400 kilometres and not fake mileage , pearl white , immaculate in and out equipped with a 3.5l V6 auto . Yes original kilometres with documents to prove it. full leather interior. Satellite navigation (needs updating to suit AUS GPS), DVD player with in roof fold up monitor with remotes. fold up rear seats. abs brakes. fog lamps. dual airbags. HID headlights. wide angle reverse camera. dual zone digital climate control. rear tinted windows. conference seating. remote power door. 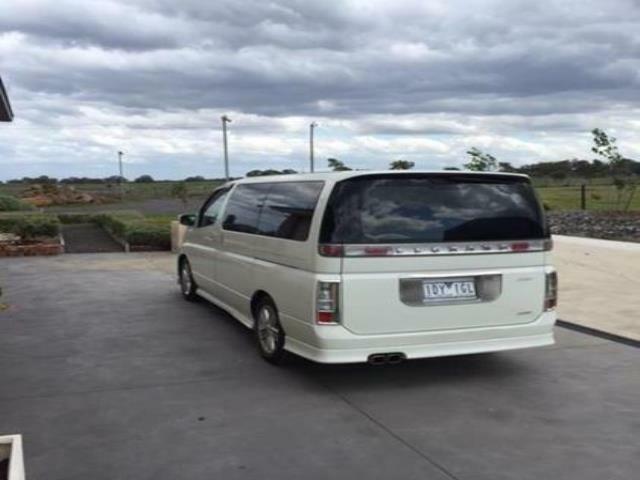 vehicle is registered as a 7.5 seater. 3 child restraints. no accident history. 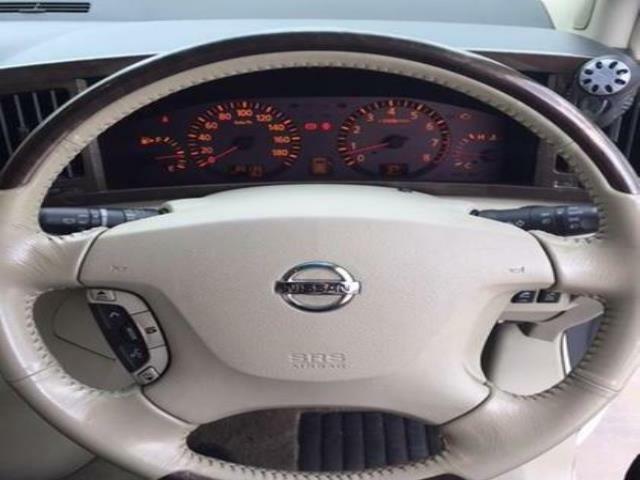 genuine enquires pls , this is a car Original millage and not a car with hi KLM's that has been clocked back to make profit , it was purchased for business use and unfortunately we had some changes in the business structure and need to sell .